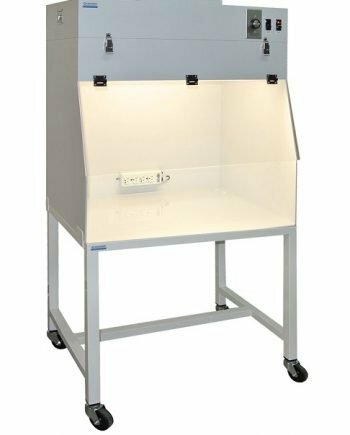 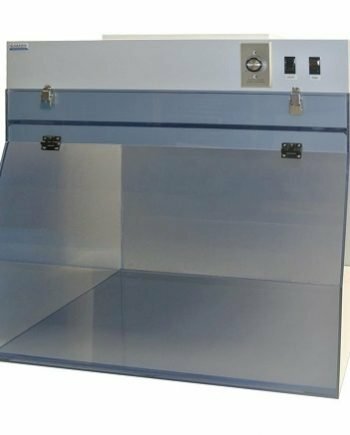 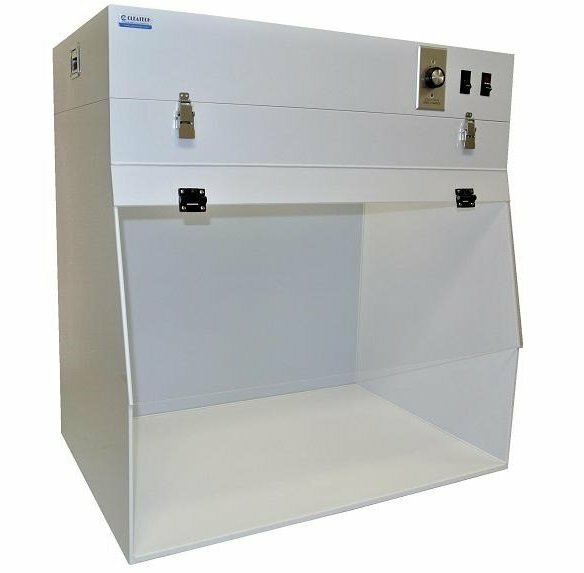 Laminar flow hoods (Clean Benches) provide a filtered airflow across the work area that protects the sample from airborne contamination. 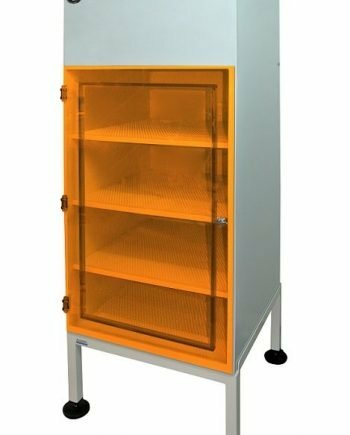 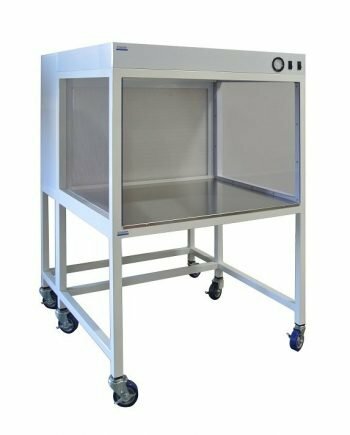 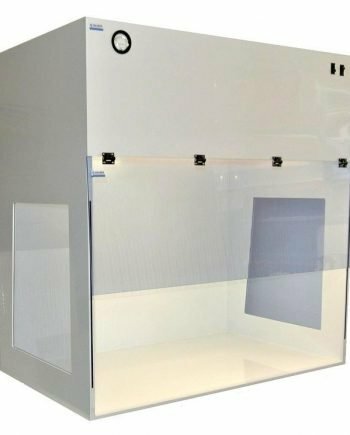 Laminar Flow hoods are suitable for a variety of applications and especially where clean air and sterile environment is required such as many medical and research laboratories, assembly workplace of sterile equipment or electronic devices. 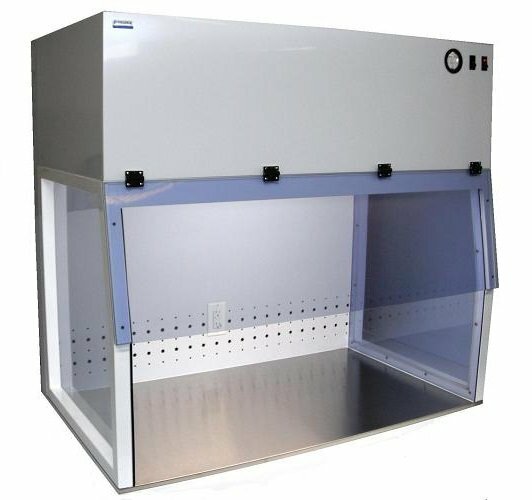 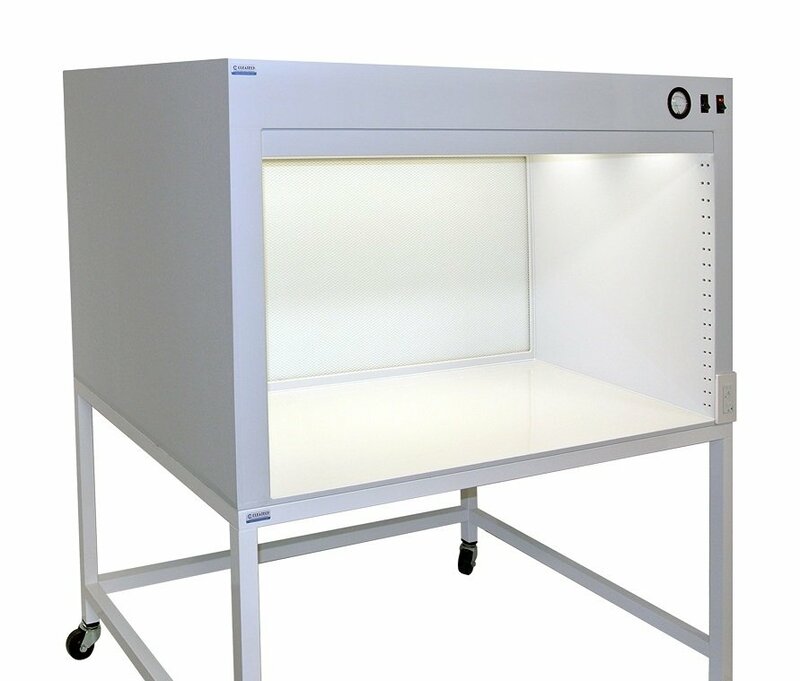 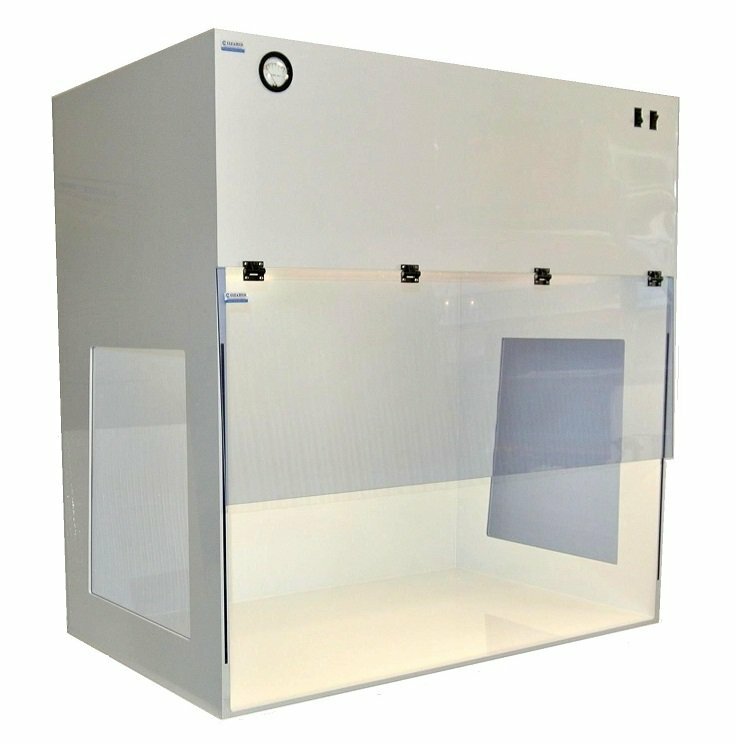 Most laminar flow hoods are available in horizontal or vertical airflow configurations. 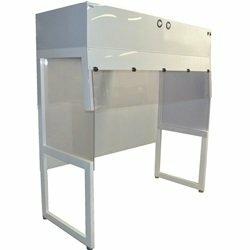 In Vertical flow hoods, clean filtered air moves downward from the filter surface on the top to the work surface. 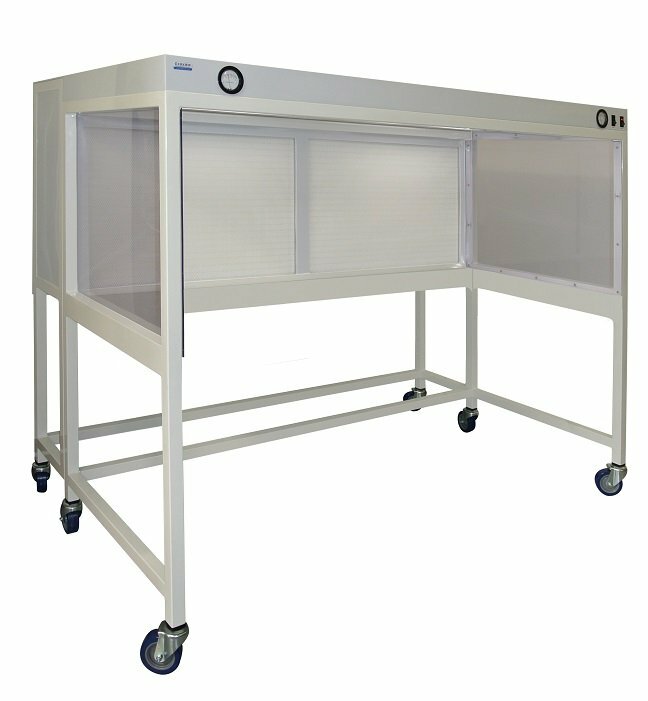 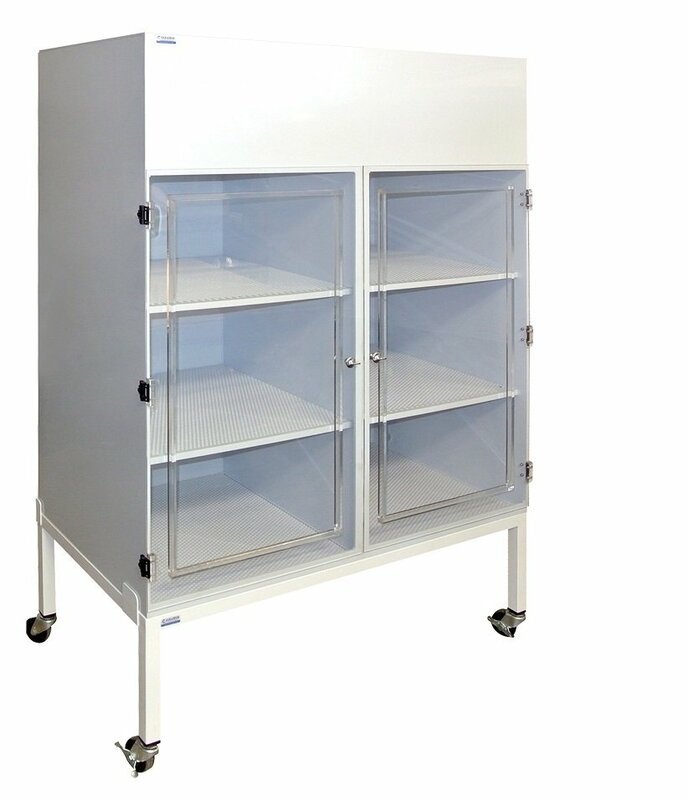 In Horizontal laminar flow cabinets, clean air moves from a filter located behind the work surface toward operator. 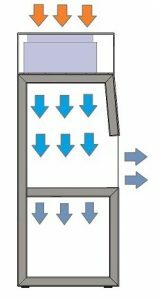 Air flow direction depends on the type of process, operator safety, clearance requirements. 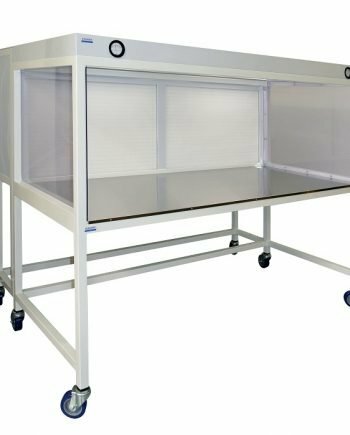 Cleatech offers variety of laminar flow workstations in vertical and horizontal air flow directions, benchtop, free standing, and portable design that meet cleanliness requirements of ISO4 & ISO5 (Class 10 and 100 cleanrooms).